From this year you will have to pay a penalty if you don't file your income tax return on time. Here's all the help you need to sail through the process. 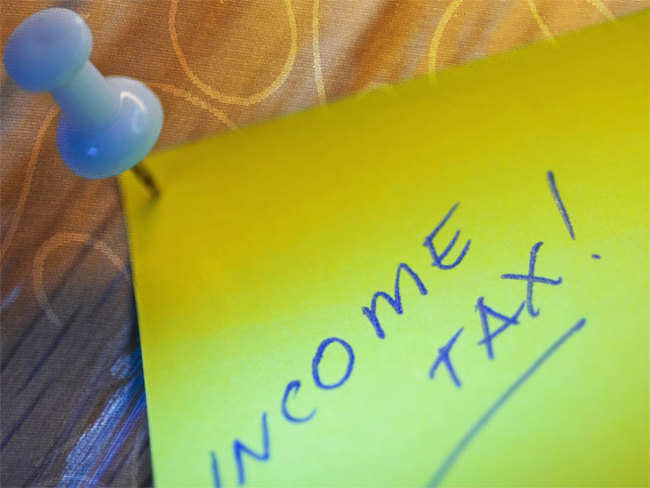 What is income tax return and who should use ITR1? While processing your ITR, if the assessing officer finds that you have paid less tax than what he has calculated, you will be served with an outstanding tax demand notice. After filing your return if you have not verified it within 120 days, then it will not be considered as valid. Interest from bank deposits, bonds and even tax-free incomes have to be declared in the income tax return. Make sure you file your tax return using the correct form applicable according to your income, using the wrong one would make your return defective. In case of self-occupied property, deduction under section 24(b) cannot exceed Rs 2 lakh provided certain conditions related to the nature of the loan are met. Do you have to report your payments bank account with Paytm, Airtel in your ITR? As per the existing ITR forms, you should report all your bank accounts except dormant ones, any interest income earned from these should be reported too. As you prepare to file your income tax returns this year, don’t be stumped by the terminology in ITR forms or Form 16. By filing your income tax return on time, along with certain benefits such as carry forward of losses, you will not have to pay a late filing penalty. This is the second time in a month the income tax department has updated these utilities. Earlier the department had revised the utilities on August 1. Section 139(5) of the I-T Act states that after filing their return, if someone discovers any omission or wrong statement, he can furnish a revised return. During processing the department checks if there are any discrepancies between the income declared and the tax paid by you and the data available to them. The Finance Act 2004 introduced section 56(2)(v) for taxing gifts in the hands of the recipient. With less than a month left to file the returns, frequent changes are proving to be irksome. Taxpayer is liable to pay penal interest on advance tax if he has failed to pay any advance tax or the advance tax paid is less than 90& of the assessed tax. It appears that the extension of the deadline meant that consequential changes had to be made in the forms and all those who were half-way through the exercise will have to re-do it using updated forms. The warning, that also acts as an advisory, comes at a time when the income tax returns filing season is on and CBDT has sometime back extended the deadline to do till August 31. The tax rates for short-term and long-term capital gains depend on the asset class and the period of holding. Here are the tax rates for different assets. The government gave a breather to those who have to file their income tax returns. The ITR filing deadline has been extended by a month from July 31 to August 31. One might find it easy to get away with small changes in declaring facts or hiding minor details while filing ITR but these acts must be avoided. Thousands of taxpayers file faulty tax returns. For that, the taxpayer is liable, not the ITR preparer. Just because some individuals are not required by law to file their income tax return, it is advisable that they do. Here is why. ​The return filing forms notified by the CBDT for the assessment year 2018-19 require you to provide a detailed break-up of your salary. Thousands of taxpayers may already have filed their returns through these entities and claimed refunds. What are the five heads of income under Income Tax Act? Incomes earned by you during the year are divided into five heads under the I-Tax Act. Here's a look at how these incomes are classified. As gains from F&O are considered non-speculative business gains, income tax is levied according to the applicable tax slab rates. The private websites typically offer only the basic e-filing services at no cost but the more complex operations come at a cost. A person's gross total income chargeable to tax various heads and one of these heads of income is 'Income from House Property'. There are two ways to file income tax return online. One is to download the applicable IT form, fill, save and then upload it. Another is filing the for online. While most tax payers are aware that interest income is taxable, there are a few types of interest income that they are likely to forget to include. An incorrect entry especially with regards to PAN or an amount in the Form 26AS may lead to unnecessary delays in filing the ITR.